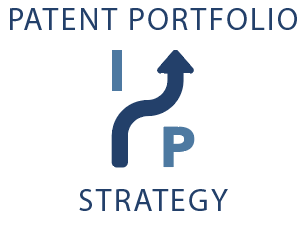 One specific application of our IP strategy and advisory services focuses on the portfolio of patents and other technology assets of a business. Many businesses, particularly early stage businesses, tend to approach the protection of their technology assets from a defensive position. That is, they might pursue protection of their core product technologies to maintain a freedom to operate, but rarely do much more – failing to fully realize the value of their technology. Nevium has the patent and technology experience and expertise to help you realize that value. We apply a broad range of strategy and advisory services that are right-sized for your business, from high tech startups to global Fortune 500 organizations. Our seasoned experts, who are both patent agents and accredited appraisers, are able to communicate with your engineers, C-level executives, and internal/external counsel to provide in-depth competitive technology landscape analyses and strategic product and market development recommendations. In some cases, we may specify business operations that promote innovation and extract the full value of your technology. Our patent agents can also manage the harvesting, development, prosecution, and maintenance of your patent portfolio.In all cases, Nevium works with your leadership team to ensure your patent portfolio management strategy aligns with your overall corporate strategy.